A dental emergency could be anything from sudden and severe pain from a decaying tooth, or a tooth getting knocked out while engaged in a sports activity or due to an accident. Any kind of emergency can be stressful, painful, and often alarming, but dental emergencies are especially distressing because patients often don’t know what to do when they happen. At Dentistry of Colorado, we pride ourselves with providing emergency dental care to our patients as soon as they need it. We are available 24/7. Many dentists don’t offer emergency dental care outside of regular office hours. As a patient of Dentistry of Colorado, you don’t have to worry about being forced to go to the emergency room for a dental emergency. There are no ‘after hours’ for our patients; you can rely on us for emergency treatment anytime the unexpected happens. According to the Agency Healthcare Research and Quality, the vast majority (99%) of emergency room trips caused by dental issues could have been handled by an emergency dental office for a fraction of the cost. And, did you know that 88% of all emergency dental visits could have been prevented by routine care. We don’t want our patients to suffer because they are worried about the cost of care. We have financing options. What To Do For a Dental Emergency? 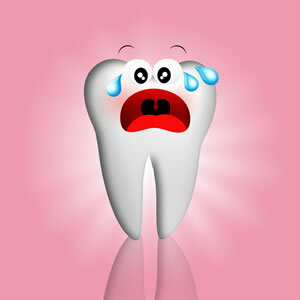 To protect your oral and overall health during a dental emergency, having an action plan is essential. Contact us immediately so we can help determine needed steps and talk you through first aid tips, if necessary, until we meet you at the office. If you have a broken jaw, facial injuries in conjunction with additional bodily trauma, or a severe soft tissue laceration with bleeding that won’t stop after several minutes of cold pack and pressure application, go to your nearest emergency room immediately and contact our doctors when you arrive. When you need urgent care dental services you can trust our dentists to be available. No one should have to suffer all weekend long to wait for the dentist office to open on Monday morning!